The built environment and the climate influence each other on different scales. 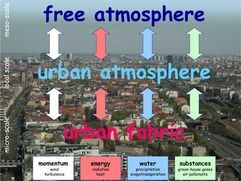 While the extensive climate situation (mesoclimate) concerns the city as a whole, as regards the averages as well as the extremes in temperatures and is itself modified by the city structure - the microclimate is directly connected to the single building. In between lies the local scale, it stretches from streets to city quarters. 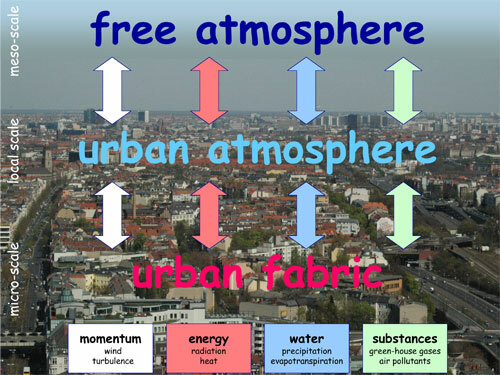 Here, the interactions with the climate are formed through the urban conditions and internal-urban free space. The main process features of the climatic interaction between the built environment and the surrounding scenery are known, however, in detail they still have only been investigated partially. Thus, for example, there currently is still an absence of analytic, scales-covering models, which take the energy exchange between the atmosphere and surface into consideration. These are needed for a more precise understanding of the dependence between the built and the micro, local and mesoclimate. Consequently, the research cluster projects are focused on the climatic interaction between the built environment and the surrounding landscape. The aim is to make them understandable by analytic models which, in addition, enable to judge on measures for a sustainable urban planning, the improvement of the city climate and to better control and develop new systems for the air-conditioning of buildings. In the light of the global climate change, new adaptation strategies will be necessary in many countries on earth because of changing climatic conditions. The research cluster "Climate-appropriate and Energy-efficient Constructions" wants to generate an innovative contribution to this. 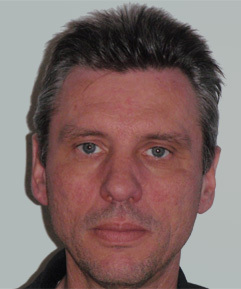 Preparation and application for at least two research projects which can be funded/supported by the Federal Ministry for Education and Research and/or the 7-th supporting program of the EU.